How pretty! 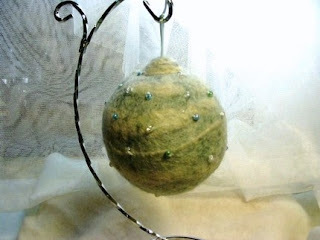 Felted ornaments with embellishments are offered at this great Etsy shop. This shop is run by Janette of the online storefront cj twiggs, which is a business owned by two sisters, Janette and Connie. Janette's Etsy shop features beautiful handfelted brooches, ornaments and more. I love this ornament. It makes me think of holiday warmth and beauty just by looking at it. 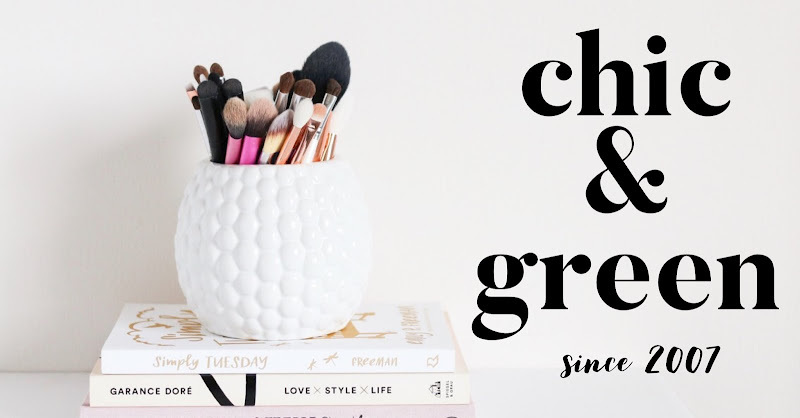 Head over to this great shop today and pick yourself up an ornament--or my favorite item, the brooch above (for my winter coat). 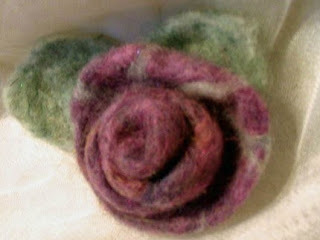 There are gift options for less than $20, including the rose brooch, which is $16 and made of alpace wool. The ornaments are $22.